The line between lead generation services that work based on performance and classic affiliate CPA networks or revenue share programs becomes more blurry as time progresses. You might want to check out as alternative or addition to display advertising and lead generation the following Affiliate Networks and CPA Networks for a possible partnership and additional source of traffic and customer or lead acquisition. For a limited time only! 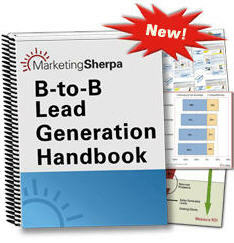 Save $200 off the newly released B-to-B LeadGen Handbook (formerly known as B2B Marketing Handbook) from Marketing Sherpa. The guide is the biggest (thickest) that I have ever seen from the Sherpa. It is over 500 pages in size and packed through the roof with data charts, eyetracking heatmaps, written and visual real world example creatives, statistics, tips, general how-tos and best practices. This one book has basically everything that you need to do be a more successful marketer who promotes business to business products and services. Have a glimpse for yourself, free, Download the Executative Summary. The manual for newly hired staff to learn the does and don'ts and the how-to; and the reference to look up information to specific subject for the experienced marketers and veterans. Serious B2B Marketers have to have this serious book. DM University: Coregistration by James Kim at Digital Moses Confidential. Online Lead Generation: Business-to-Consumers (B2C) and Business-to-Business (B2B) Best Practices for U.S.-based Advertisers and Publishers published by the IAB. You can find more CoReg/LeadGen networks at the Co-Registration and Lead Generation Networks and Services listings at Digital Moses (DM) Confidential - internet marketing news and resources. ListOpt.com - Free Newsletter Directory. A categorized email newsletter directory and co-registration services provider that refers subscribers for a small fee. 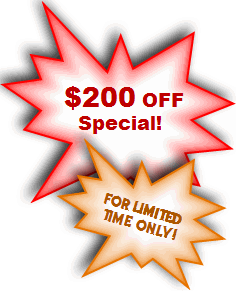 PermissionDirect.com co-registration network to promote: Special Product offers / discounts / promotions, Email newsletter registration or Contests and Giveaways. PermissionDirect is a leading co-registration network with access to a large number of new opt-in customer registrations per month. EmailUniverse email lists, expert advice and articles that were written by and for email list owners. Newsletter for Free - A directory of a large number of available email publications that pay for subscribers on a per-referral basis. WebClients.net - An advertising and lead generation network that offers co-registration services via a large network of Web sites. Worldwidelists.com - A pay-per-subscriber newsletter directory that offers both single and double opt-in referrals. CoRegFuel.com is a premier Co-Registration network consisting of over 100 top tier sites across over 10 targeted channels. Advertisers can reach over 5 million highly qualified, unique visitors and engage them in the right place at the right time. Coregmedia.com is a co-registration,lead generation and customer acquisition network. InnovationAds.com is an interactive marketing and media services company that offer co-registration services among other methods for customer aquisition. Check the email marketing resources for useful tips and guides to how to leverage your email advertising. It also refers to a number of email services and list management providers. ValueClickMedia lead generation provider with two distinct distribution channels, which include a network of publishers and registration path solutions. The co-registration network ZMedia was acquired by ValueClick in 2001 and integrated into the ValueClickMedia portfolio of solutions. LeadPoint.com is a real-time B2B lead exchange, provides a common platform that brings lead buyers and sellers together in a secure, efficient environment. Aptimus.com - Point-of-Action online advertising network that reaches engaged users by placing promotional offers in transactional areas of the Web sites they trust. Filiado.com is an online performance marketing company delivering measurable results to advertisers who wish to reach Hispanic and Latino consumers in the US, Brazil, Latin America and Europe. It delivers traffic, clicks, leads, and sales through their internal traffic and network of publishers, working with English, Spanish and Portuguese offers in lead generation/co-registration, CPA, CPC and CPM. Rextopia.com - Lead Generation, CPM Media Buying and Merchant Services (MACX), e.g. Affiliate Recruitment. QInteractive.com (Coolsavings Lead Generation Network) is a leading lead-gen network for advertisers who are interested in expanding new customer acquisitions.